This weekend, Goosebumps, Bridge of Spies and Crimson Peak opened in theaters. Let's take a look at this past weekend's box office. In its opening weekend, Goosebumps came in first place. The kid's horror film did a lot better than I expected. I thought it would do well, but I hadn't heard a lot of hype for the movie. But I guess fans of the books were really excited for the Jack Black led comedy, and went out to see it. However, Goosebumps has quite a hurdle to jump. It had a $58 million dollar budget. It will have a fair amount of work to do in order to break even and earn the studio money. The real question is how well this movie will do overseas, because that can be its saving grace. International markets can help this movie without a doubt. But I'm fairly confident that Goosebumps will break even. We'll just have to wait and see. In its third week, The Martian came in second place. The science fiction film has been doing fantastic at the box office. Worldwide, it has made $318 million dollars, which is great. This is a clear home run for Ridley Scott and proves that he is still a viable name at the box office. 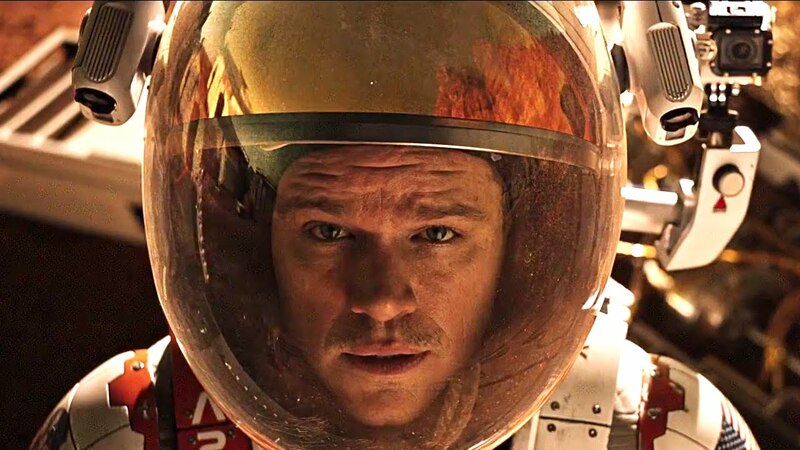 I think that The Martian will continue to make money, even as more films open up. We have seen many films this year stick around at the box office, continuously making money into week five, six, seven and so on. I think The Martian has the potential to do that, and I will be very curious to see how much money the film makes by the end. You can read our review for the film here. In its opening weekend, Bridge of Spies came in third place. The Steven Speilberg film didn't have a lot of hype surrounding it, which really surprised me. The fact that it was Speilberg and Tom Hanks working together again in a Cold War political thriller is enough for movie fans to wet their pants, but there was surprisingly not a lot of people talking about this film leading up to its release. That's why I wasn't surprised it made only $15 million. It could have made a lot more if people were talking about it, and I'm not sure what went wrong. Maybe it was the marketing. Or maybe people just weren't interested, which seems strange. With a $40 million dollar budget, it has some work to do in order to break even. In its opening weekend, Crimson Peak came in fourth place. Guillermo del Toro is a brilliant visual director. His films always look gorgeous. But sometimes his movies lack in story, and it sounds like that's the case with Crimson Peak. This was not a good opening for the film. It had a $55 million dollar budget, and these are not the numbers the studio is wanting to see. However, it's worldwide total at the moment is $26 million, which isn't bad. While it may not be doing well domestically, it's international income will probably save this film. I want del Toro to succeed, because he's a great director. And hopefully he will succeed with Crimson Peak. In its fourth week, Hotel Transylvania 2 came in fifth place. The animated kids film has been doing very well at the box office. It has made $267 million worldwide. That's not as good as The Martian's numbers, but it's still very good. It's still about $100 million behind the original film, and I don't think this sequel will catch up. I don't see it making another hundred million, when it's already in its fourth week. Hotel Transylvania 2 has done will, and will be fine in the end, but the studio is seeing a downward trend with these films, and that's not what they want to see. Regardless, I think we will be seeing Hotel Transylvania 3 in the next few years. To re-cap, #1 was Goosebumps, #2 was The Martian, #3 was Bridge of Spies, #4 was Crimson Peak and #5 was Hotel Transylvania 2. Next week, The Last Witch Hunter, Paranormal Activity: The Ghost Dimension and Jem and the Holograms open in theaters, while Steve Jobs goes into wide release. Here's my prediction for the top 5 next week: #1 Steve Jobs, #2 The Last Witch Hunter #3 Goosebumps, #4 The Martian, #5 Paranormal Activity: The Ghost Dimension.